Anne-Lise is a registered Naturopath and Nutritionist and runs a successful practice in North London. 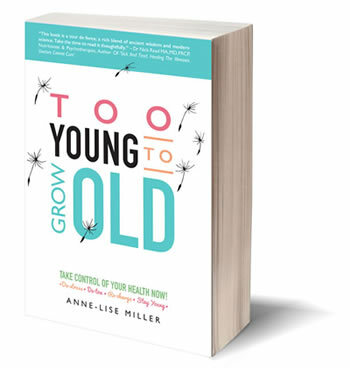 Her comprehensive book "Too Young to Grow Old" was published in March 2015. She received a scientific education in France before pursuing a dance career in Ireland and the UK. During that time, she co-created the School Project, and raised government funds to make dance and movement accessible to school children and young members of the community. She is a qualified teacher and fitness instructor and has been a practitioner and trainer of Colonic Hydrotherapy for more than 20 years. Anne-Lise remains dedicated to improving her knowledge and has a ferocious appetite for new research and development in human biology, health and healing. She wrote the comprehensive syllabus for her Colonic Hydrotherapy training in1995 and updated it many times since in accordance with research and developments. 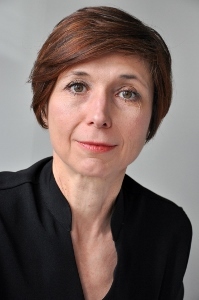 As the honorary secretary to the Colonic International Association (now ARCH) for five years, she also contributed to the creation of National Training Standards. Those are still used by most training colleges in the UK to this day. More recently Anne-Lise took part in the creation of a National Occupational Standard (NOS) and was made a representative for Colonic Hydrotherapy on the Profession Boards Specific of the Complementary and Natural Health Council. As such she was directly involved in the creation of the National Core Curricula for Colon Hydrotherapy. She is an experienced business woman. In 1993, she co-founded "The Whole Health Centre" a multi-disciplinary alternative health clinic in Hampstead (London) that specialised in colonic hydrotherapy. It was one of the first clinics of its kind in London and offered integrated detoxification and digestive health care programmes. In 1999, she went on to open, with her husband, a residential centre in Scotland which became home to the Scottish School of Colonic Hydrotherapy and the Cleasnig for Life detox retreats. The venue offered a natural and conducive setting for detox programmes and trainings aimed at supporting individuals achieve optimal health through education and self-empowerment. Anne-Lise has always believed that good health is rooted in a healthy bowel and optimum digestion. This can only be achieved by looking at the whole person. There is no one diet fits all. The role of a professional therapist is to guide and educate their clients to better individual health management. Giving the appropriate client centered information requires skills and training. Whilst information is easy to come by, the ability to analyse a client’s need is the mark of a talented and professional healer. Anne-Lise is a practicing Nutritionist, Aromatherapist and Massage Therapist. She is also qualified in Counselling, Hypnotherapy & NLP. She has contributed to Here's Health Magazine, Om Magazine, Radiant health magazine and The IBS network magazine. She was also featured in the Independent newspaper and appeared on Channel 4, BBC2 and ITV television.